Sailors Matt Allen and Wendy Tuck headline the list of winners at the Cruising Yacht Club of Australia’s annual gala function. 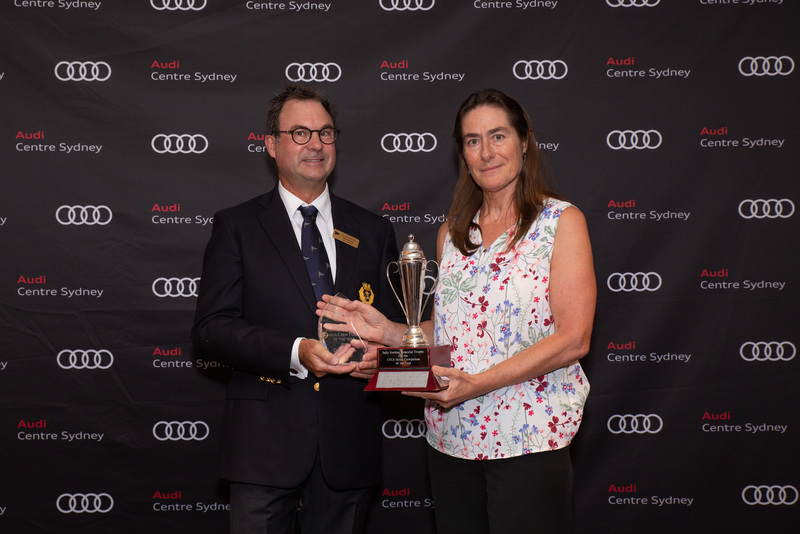 Cruising Yacht Club of Australia’s annual gala function was held to herald a new round of Ocean Racer of the Year recipients and acknowledge the champions of the Club’s 2018-19 Audi Centre Sydney Blue Water Pointscore Series. Established in 1985 by the CYCA, the Ocean Racer of the Year Awards recognise the outstanding achievements of yachtsmen and women Australia-wide and since the founding year the nation’s most recognised offshore sailors have been nominated by their peers and duly awarded by the selection panel. 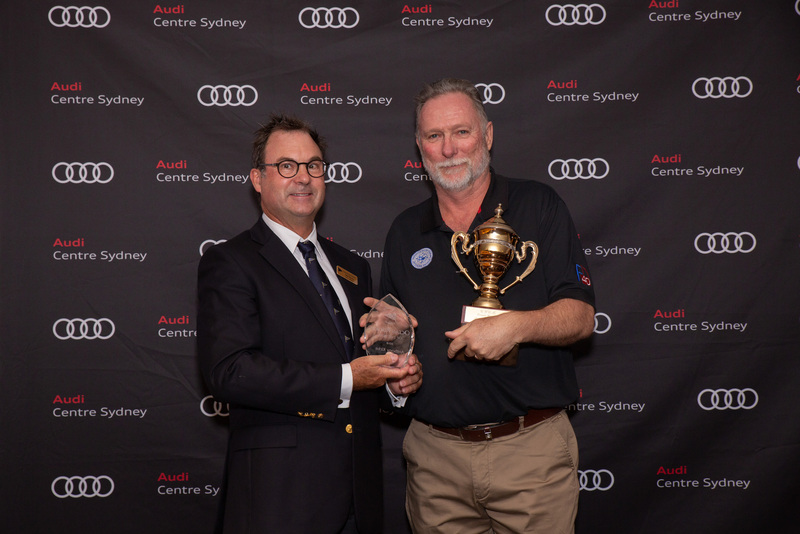 Allen and Tuck, fresh off an Audi Centre Sydney Blue Water Pointscore triumph and a Clipper Round the World victory respectively, claimed the prestigious Ocean Racing Yachts Person of the Year awards, with a collection of other honours shared amongst the best performers in Australian sailing. “It’s an incredible honour not only to win this award but to share it with Wendy Tuck,” Allen said. Anthony Kirke - Ocean Rookie of the Year. Bruce Taylor - Ocean Veteran of the Year. Dinah Eagle - Sally Gordon Memorial Trophy for Ocean Crew Person of the Year. Ocean Racing Yachts Person of the Year - Matt Allen (right) and Wendy Tuck, accepted by Les Goodridge. CYCA Commodore Paul Billingham paid credit to Allen, Tuck and all those who had competed throughout the series. 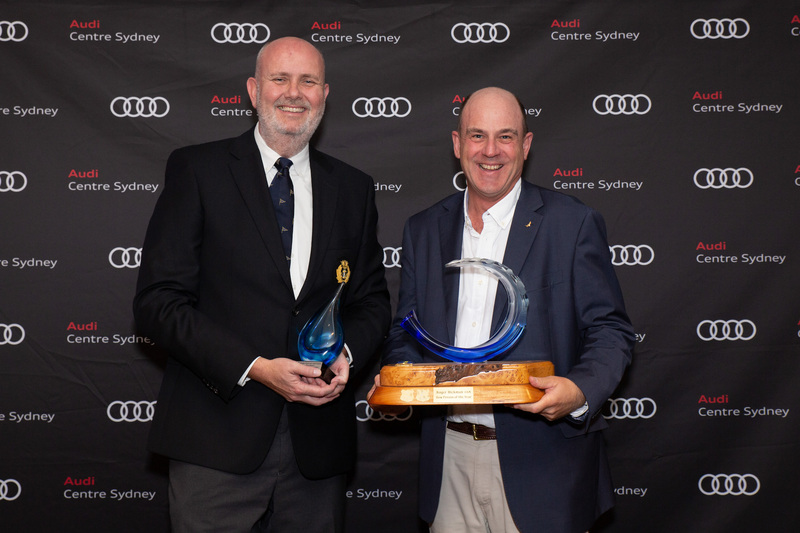 “Congratulations to all winners at the CYCA Ocean Racer of the Year and the Audi Centre Sydney Blue Water Pointscore Series awards,” CYCA Commodore Paul Billingham said. “This year has been one of firsts – and broken records – and those on the water should be commended for their outstanding efforts. 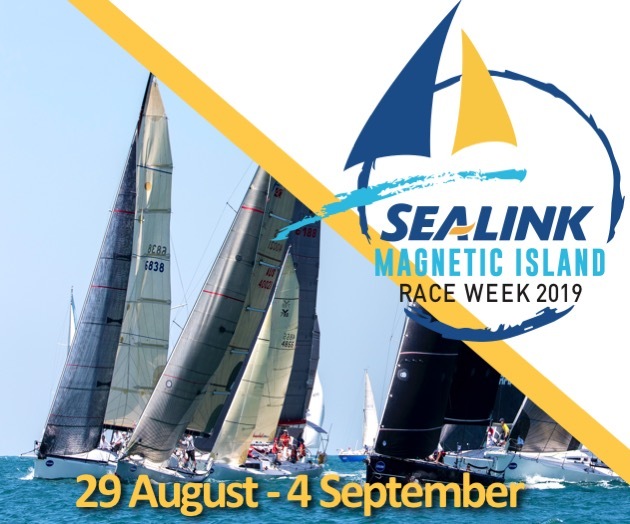 “Off the water, the sport and the Audi Centre Sydney Blue Water Pointscore Series continue to grow – culminating in the Rolex Sydney Hobart Yacht Race, which in 2018 attracted record viewers across Australia in the Channel 7 broadcast in addition to millions across the world. The Ocean Racer of the Year award is the most prestigious of the CYCA’s five awards and is presented to the leader of an Australian ocean racing campaign who has excelled above others during the qualification period. This year the CYCA announced two worthy winners. Allen has enjoyed plenty of sailing success throughout his career, but the last 18 months of the Ichi Ban program have been extraordinary including winning the most recent Blue Water Pointscore off the back of last season’s 2017 Rolex Sydney Hobart victory. Allen is a former CYCA Commodore and the current Australian Sailing President. Tuck, winner of the latest 40,000-mile Clipper Round the World yacht race, became the first Australian skipper to complete a second Clipper race and in winning wrote herself into the history books as the first female skipper to ever win a round the world yacht race. 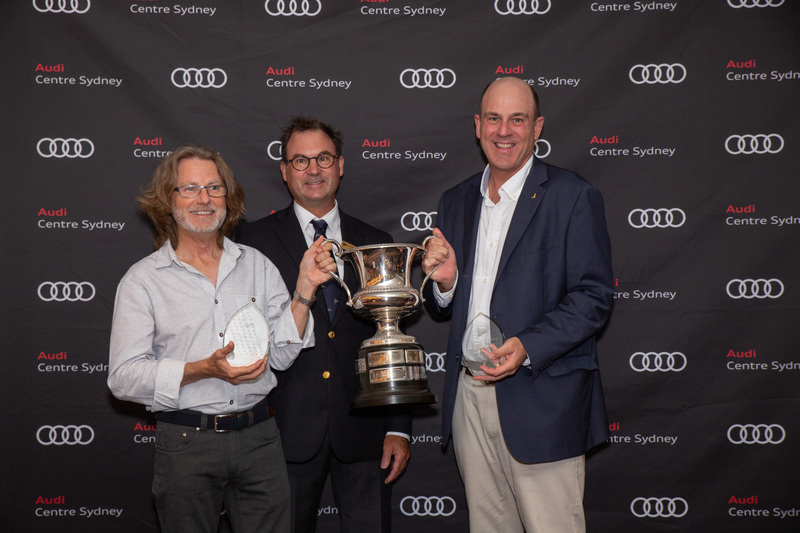 The Audi Centre Sydney Blue Water Championship is a yearly six-race series that begins with the Noakes Sydney Gold Coast Yacht Race and concludes with the double-points Rolex Sydney Hobart Yacht Race in December. 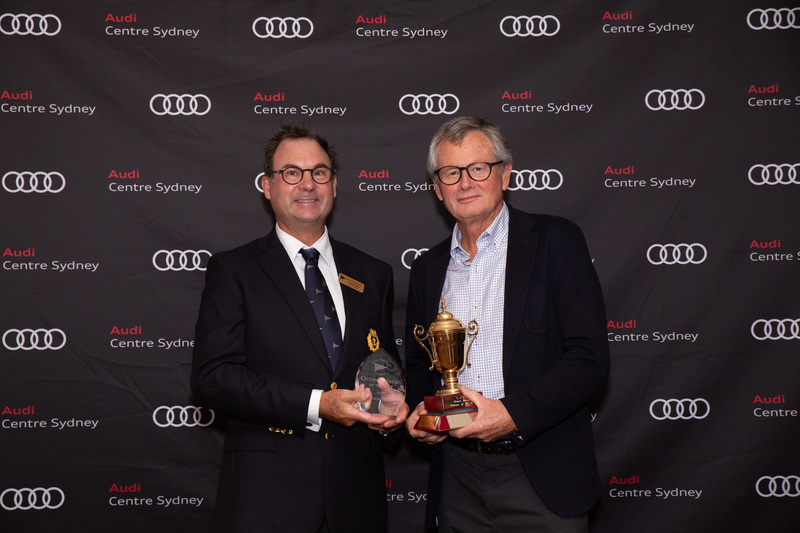 “It’s wonderful to be able to acknowledge the elite performances of racers in the Audi Centre Sydney Blue Water Pointscore series, from the start of the series right through to the Rolex Sydney Hobart Yacht Race,” Audi Centre Sydney Dealer Principal, Steve Cloete, said.